Raccoon Feces Photographs - Is it Dangerous? 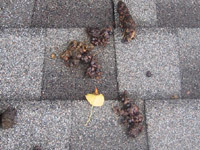 Raccoon droppings disease - All animal droppings carry some risk of disease and the raccoon is no exception. The most common illnesses associated with raccoon droppings are giardia and roundworm infection. Both of these are gastrointestinal disorders caused by tiny parasites that like to live off of a host. The giardia protozoan is fairly common in most parts of North America, living in fresh water supplies. Many people already have giardia, but it’s when the parasite overpopulates that trouble begins. Roundworms are a different type of parasite. The roundworm egg is most often introduced through a body by ingestion. It only takes one microscopic egg on your hand to be transferred to your mouth and down to your stomach. Don’t think stomach acid will have any effect on this parasite. The eggs are encapsulated and can survive in subzero temperatures as well as in stomach acid. Once the egg progresses into the intestinal tract, it will flourish and become an adult worm. Roundworms can migrate through body tissue, creating hemorrhaging and damage to internal organs. In small children, roundworms have been known to cause blindness if left undetected. Click here to learn How to Get Rid of Raccoons. Racoon feces on your skin - You must be very careful when working around animals and their waste. This goes for all animals, not just for you cat and dog or the raccoon up in your attic. Yes, raccoon poop is dangerous, because it contains some pathogens and diseases that people can contract. 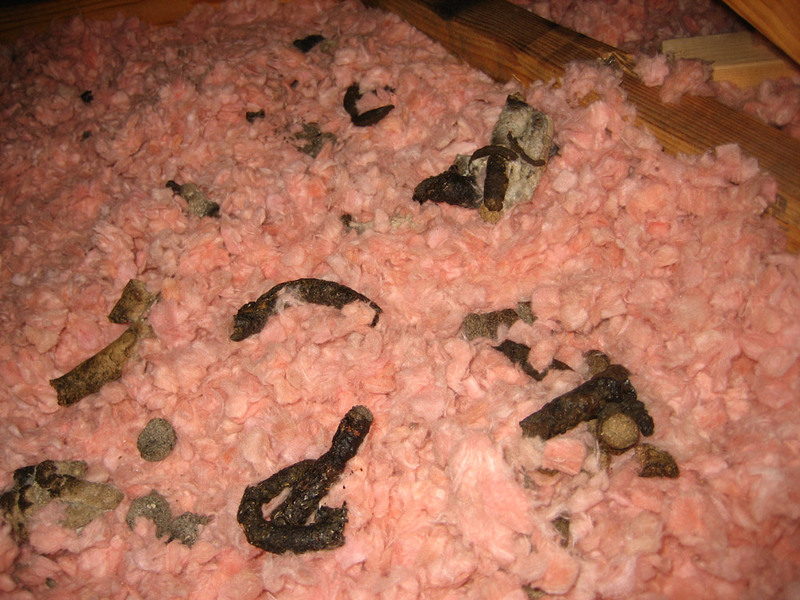 Raccon feces can contain roundworm eggs—the beginning of an intestinal parasite infestation. It doesn’t matter how long the feces came in contact with you skin or how much was there; it only takes one microscopic egg to make you sick. Once inside your body, the eggs will mature and turn into adult roundworms, a long, white, worm-like parasite that lives in the intestinal tract. These worms will burrow into the lining of the intestine, causing bloody stool and immense discomfort. Though problematic, roundworms aren’t usually going to mean imminent death. The fact remains, however, that you should be sure to wear proper protective gear when cleaning up from a raccon infestation. There are many other diseases you should be worried about, like leptospirosis and giardia. If you don’t have the protective gear and don’t have the means to purchase it, leave the cleaning to an expert. It will also cost you some money, but you’ll know everything was done correctly, and you won’t be in contact with any pathogens. 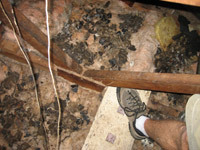 Learn proper methods for Attic Decontamination and Cleanup. Raccoon waste cleanup - Most raccoon cleanup jobs need to be done by hand. Whenever you are dealing with the mess left behind by a wild animal you should never use a vacuum or a broom. Stirring up the dust particles around you can cause certain microbes to be inhaled. The last thing you want to do while cleaning up raccoon poop is to inhale a roundworm egg. 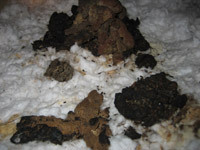 Not only do you need to handle and bag all of the droppings in the area, you need to throw away any soiled insulation or porous material. It isn’t always possible to take out every piece of material that’s been touched by raccoon waste. Professionals cleaning up after an infestation will often hose the area down with a special enzymatic cleaner that breaks down the harmful particles left behind by urine and feces. This is one of those tasks that might be done quicker and more thoroughly if you hire someone to do it for you. Yes, this is an added cost, but it is well worth ensuring there are no zoonotic diseases that could be spread to you and your family. Find out more: Do raccoons use tools? Is raccoon feces dangerous to touch or breathe? A Raccoon may seem quite cute and cuddly but its not that innocent to be honest. When raccoons inhabit a place they create a lot of damage to the wood and the house. Not only that their droppings and feces are a serious health problem for the people living in the house. These feces not only disseminate foul smell but also spread lot of infectious diseases which can prove to be quite hazardous to humans. In order to stay away from such diseases, the best way is prevention. Some of the things you can do are: Stay away from a raccoon that is sick and do not make contact with it physically. Stay away from its feces and also do not forget to wash your hands if by mistake you’ve made contact with it. Diseases can spread if you do not take this precaution. One of the diseases that is linked with raccoons is rabies. It is spread through raccoons in the last week of their life when the symptoms are at their peak. One way to identify a sick raccoon is its behavior. It may seem to be moving circles or act quite aggressive or foaming at the mouth. Additionally, its legs may also seem paralyzed in the latter stages of disease. Canine distemper is another disease which is connected with raccoons. One of the features of this disease is that cats and dogs are quite vulnerable to it so it is highly advised to vaccinate your pets once a year even though there are no raccoons present just to eradicate nay kind of risk to them in the future. Remember, prevention is better than cure. One of the diseases which can cause a grave threat to humans lies in the feces of the raccoons. Now these droppings have raccoon/roundworm which is a parasite and has the ability to become airborne plus infect humans when they breather. The larval eggs migrate to the CNS/central nervous system and cause dangerous changes to it. They have the ability to remain dormant for several years as dry pods and therefore its symptoms are also not blatant for a normal person which makes it even more hazardous. Raccoons also cause Giardia lamblia which is specifically a protozoan which has the ability to cause diarrhea when food contaminated with raccoon droppings is ingested.. Trypanosoma cruzi is linked with raccoon feces as are Leptospirosis, Rickettsia rickettsii, and Salmonella they also live in a large number of other reputable parasites such as lice plus fleas etc. 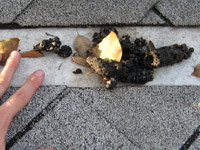 It is quite essential to be very careful when dealing with raccoon excrement because any type of mishandling or apathy can cause serious problems in the long scheme of things. If you need help, click my Nationwide Directory of Wildlife Professionals serving almost every USA town, in all 50 states.